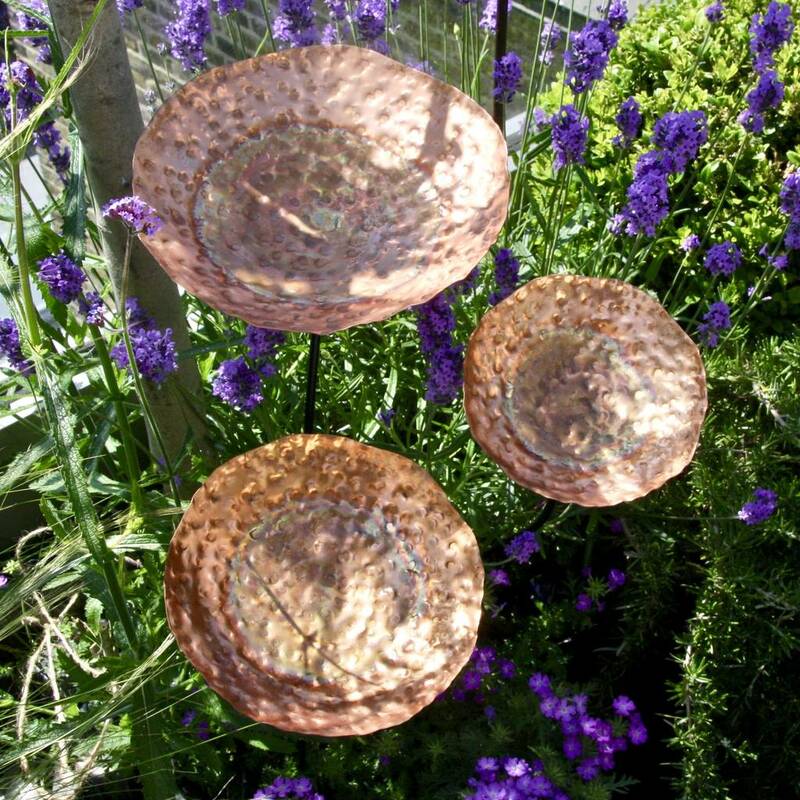 These gorgeous set of 3 rustic copper chalices are a beautiful addition to any garden. 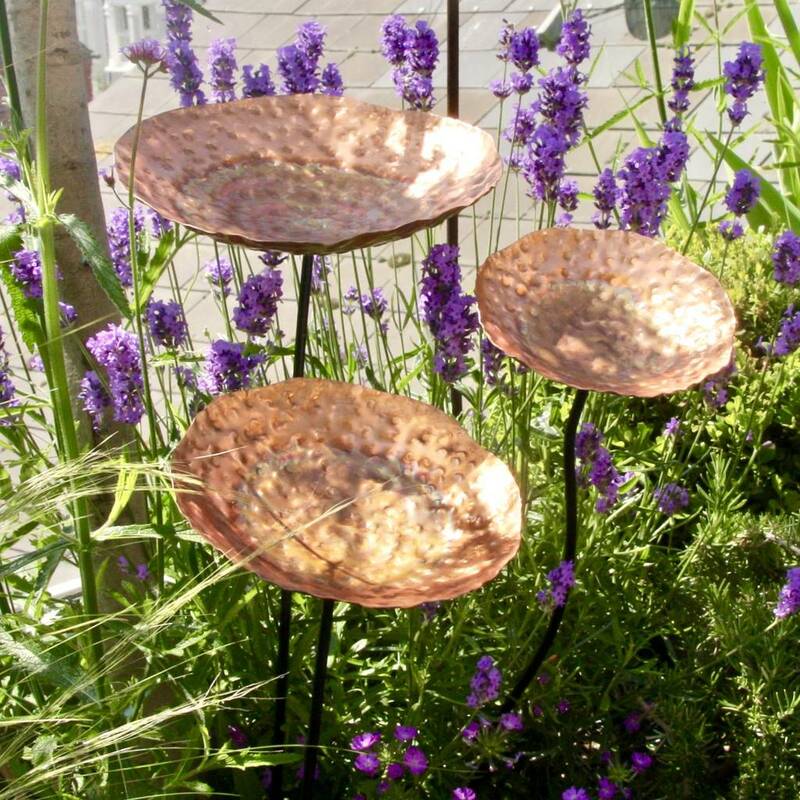 Can be used as both birdbaths and birdfeeders. 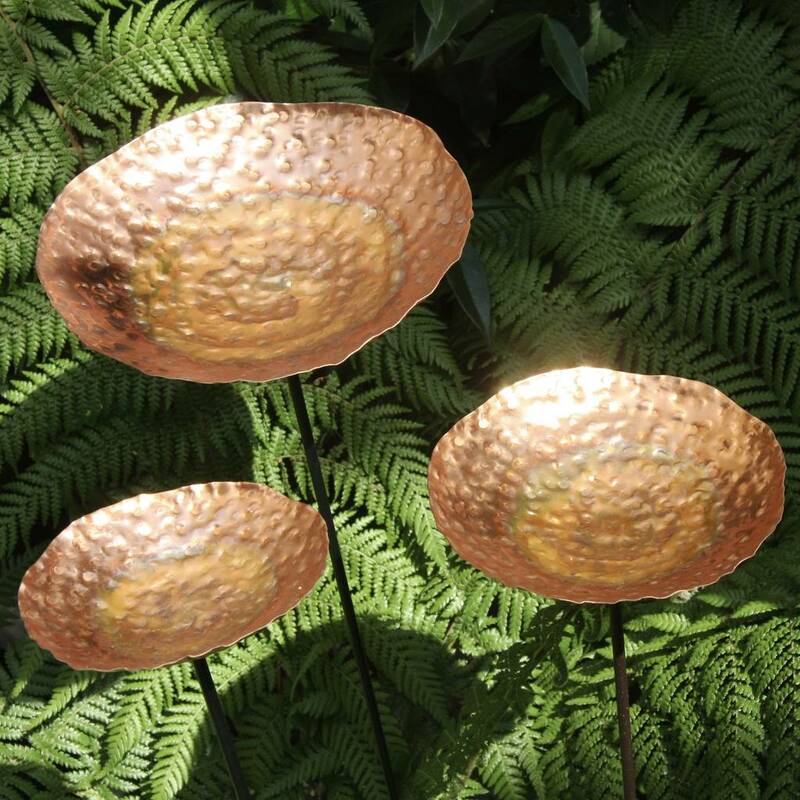 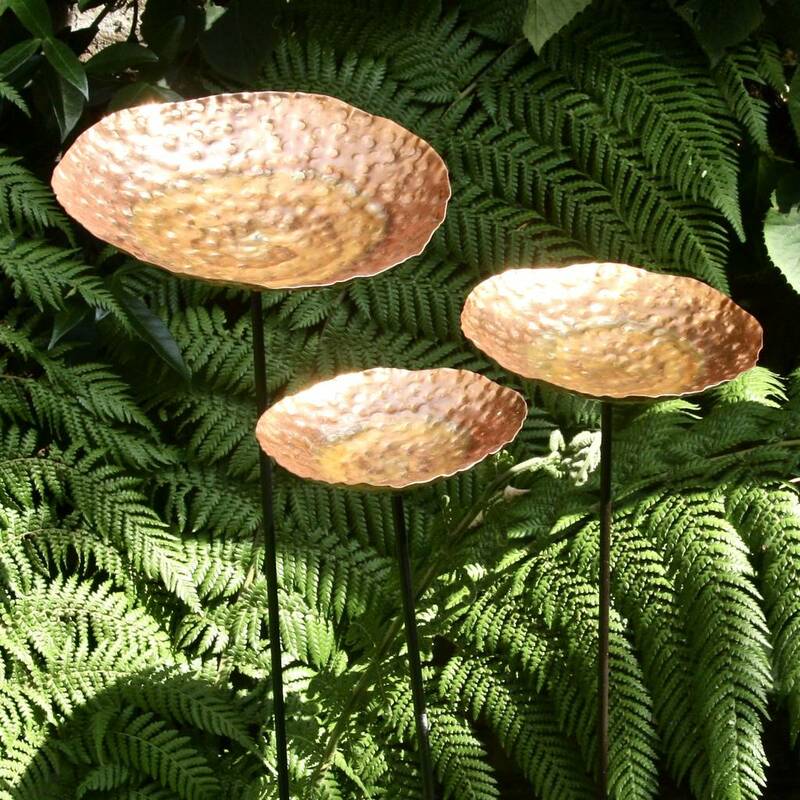 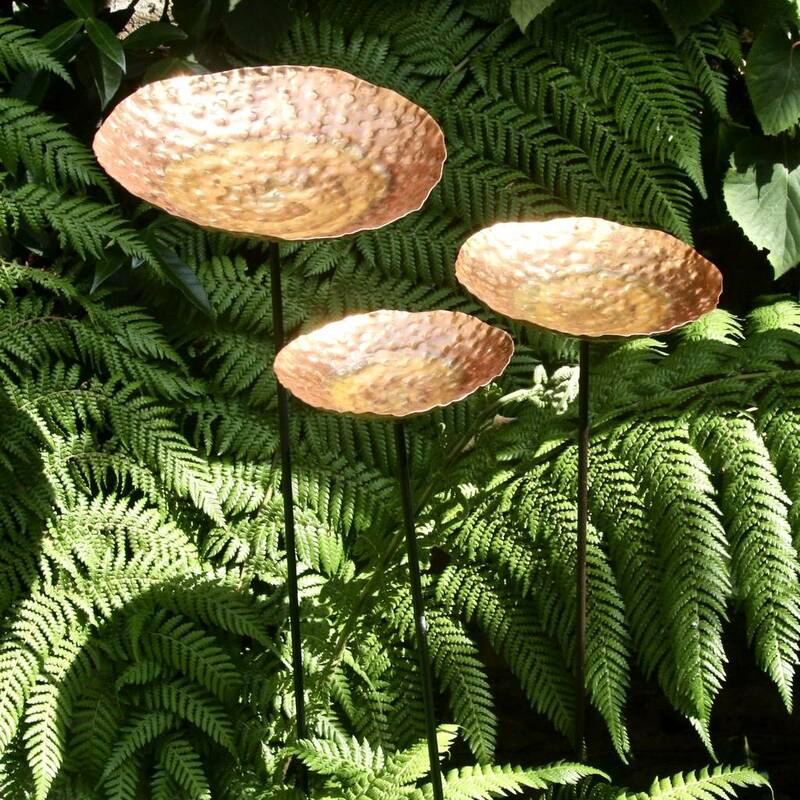 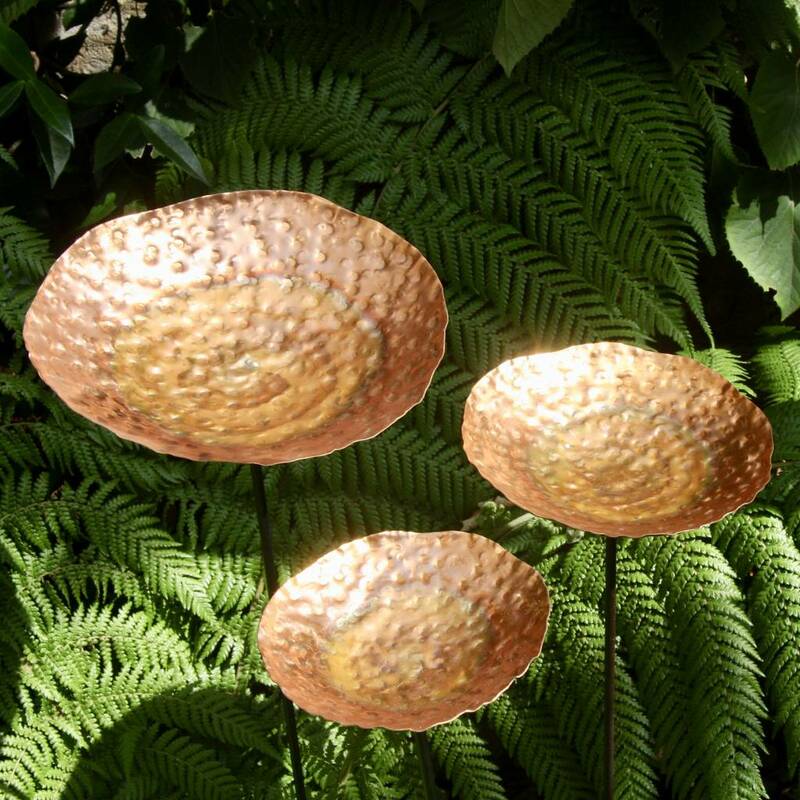 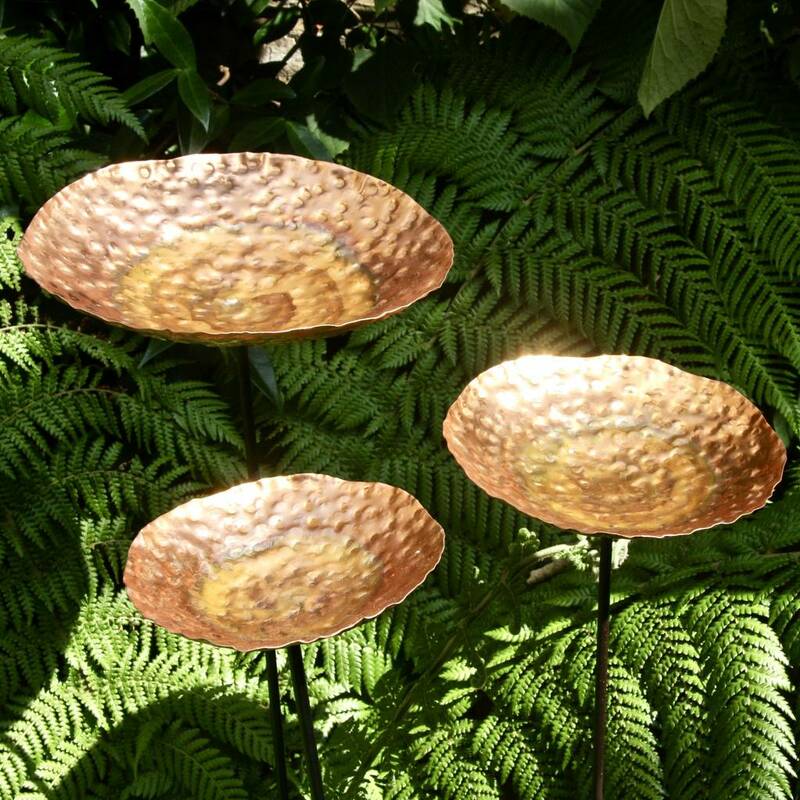 These handmade copper chalices with a hammered finish are a beautiful addition to any garden, and may be used as a bird bath or contemporary garden sculpture. 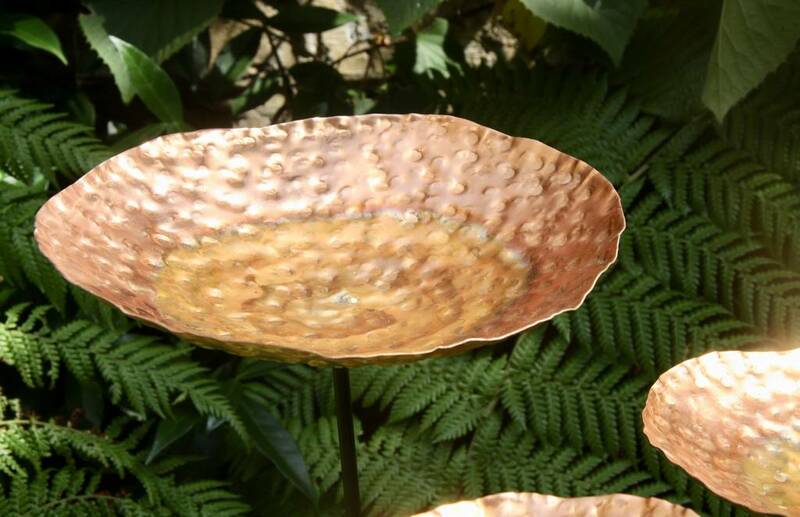 The copper colourations vary from piece to piece making each chalice unique. 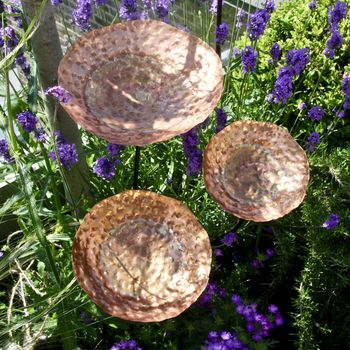 Use as birdbaths that will fill naturally with rainwater or just a sculptural pieces for your garden.